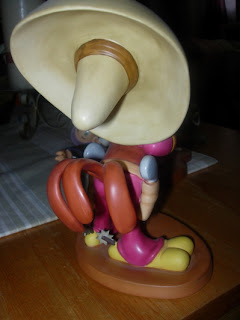 My Magical Collection: WDCC Panchito from "The Three Caballeros"
This is a Walt Disney Classics Collection sculpture, Panchito, from the Walt Disney 1945 classic movie, "The Three Caballeros". 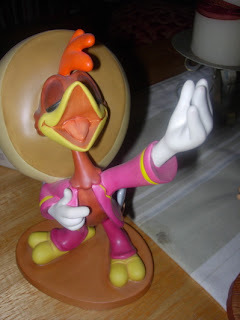 He is one of the movies 3 principal cast members (Donald Duck and Jose Carioca are the other two). Panchito is a Mexican rooster. There is a revamped attraction at Walt Disney World's Epcot- a boat ride in the Mexico pavillion, featuring Panchito, Donald and Jose.